My family waited patiently for 10 years while I chased my dreams.I decided it was time to come home to put family first. That&apos;s the reason. - We&apos;ve received some email about Hunico following comments William Regal made on the October 24th episode of WWE NXT. For those that missed it, Regal said during a bout between Camacho and Brodus Clay that Hunico was usually with Camacho but "he&apos;s in a little trouble" and "is not going to be with us for awhile." Hunico, who hasn&apos;t been featured on WWE television since the 1000th episode of Raw, actually underwent surgery to repair a torn ACL in his knee. No timetable has been set for his return. - WWE Champion CM Punk is scheduled to be an honored guest in the 2012 McDonald&apos;s Thanksgiving Parade in Chicago. - The New York Times has an article online looking at the nearly $100 million Linda McMahon has spent on her two Senate campaigns. You can read the article at this link. - Brad Armstrong&apos;s former tag team partner, Tim Horner, told the "Busted Open" radio show last Friday that Armstrong died of a possible "massive heart attack" on Thursday. - WWE Champion CM Punk officially endorsed President Barack Obama in an interview with Philly&apos;s Power 99 FM last week. "Oh man. You know I pay attention to things that go on. I know they say it&apos;s a close race and that depresses me. How anyone could vote for Mitt Romney is mind-boggling to me. I think Obama pulls it out and we get another good four years." You can hear the comments for yourself at this link. 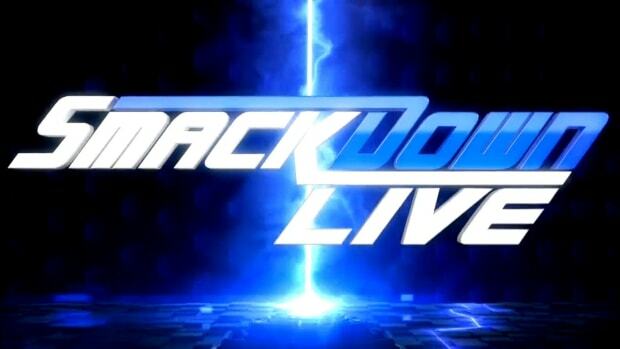 - Last week&apos;s Smackdown did a 1.96 cable rating with an average viewing audience of 2,880,000 viewers on SyFy. - For those wondering the whereabouts of Vince McMahon the day before Connecticut voters will decide whether or not Linda McMahon gets a seat in the United States Senate, he&apos;s overseas with the WWE Raw roster. Not only that but Vince appears on this week&apos;s Raw. No word if he plans on flying back after Raw or if he&apos;ll remain for Smackdown on Tuesday. - WWE&apos;s video game partner THQ is having financial problems and as a result have pushed back the release date for South Park: The Stick of Truth. The company ended their quarterly earnings call after approximately 12 minutes without taking questions from analysts. Deadline.com reports the struggling game maker may be for sale. You can read more at this link. - Dave Kapoor (a/k/a Ranjin Singh), head Raw creative team writer, has been off the road the past several weeks due to an ongoing medical issue. Ed Koskey, who works as the Smackdown header writer, has filled in for Kapoor in his absence. Kapoor is not overseas with the roster and wasn&apos;t at Monday&apos;s Raw taping in Birmingham, England. - To update on Jack Swagger I&apos;m told he did indeed ask for his release last week. Vince McMahon is reportedly high up on him and talked him out of it. The plan is to put a repackaged Swagger back on television. - As previously confirmed on WWE Raw, Jerry Lawler is scheduled to return to commentary on the November 12th episode from Columbus, Ohio. - Speaking of which, Wrestling News World reader Brian Lozer sent word the advertised dark match main event for Raw in Columbus is advertised as WWE Champion CM Punk vs. Ryback. For those who know me, they are aware I&apos;m not the most emotional person in the world but this is something that as private as it is I want to share with the world because I am so lucky and proud. My mother is currently very ill and if you have the time please send a prayer her way, she has battled through ataxia since her early 20s being told she would never have children to raising my brother and I to the men we are today. She has overcame so many obstacles thrown her way over her life not selling the pain for one moment putting everyone else first including battling through chemo and radiotherapy. Sitting with her now I can still see fight in her eyes, she is Angela Galloway, my mother and my hero. - After WWE stopped taping on Monday night, Team Dolph Ziggler chased CM Punk out of the ring. John Cena and Ryback cornered Cody Rhodes, Cena hit You Can&apos;t See Me and Wade Barrett connected with an elbow. Cena handed the mic to Barrett and raised his arm. Wade cut a promo to a huge babyface reaction. Ziggler interrupted the promo and took an Attitude Adjustment from Cena as a result. Cena gave the mic back to Barrett, who said he will kick Sheamus&apos; arse on WWE Main Event. - Both Vince McMahon and Triple H returned to the United States after Monday&apos;s WWE Raw taping in Birmingham, England to be with Linda McMahon in Connecticut on Election Day. I would assume Kevin Dunn will be in charge at Tuesday&apos;s Smackdown tapings although we&apos;re unable to confirm Stephanie McMahon&apos;s whereabouts as of this writing. - For those that missed Raw this week, "suspended" referee Brad Maddox will face Ryback on next week&apos;s show. As the storyline goes, if Maddox wins, Vince McMahon will "reward" him with a $1 million contract. 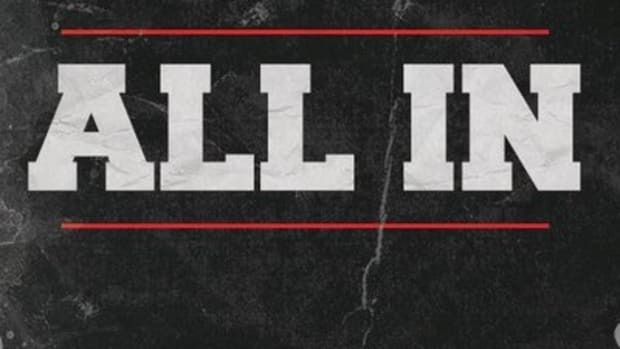 - The deliberate on-air "blowing up" of the Survivor Series card on this week&apos;s WWE Raw is about as clear of a picture of the current state of WWE creative as anything I have ever seen. Things are always subject to change but rarely do they do so on television after they&apos;ve been announced. WWE Survivor Series 2012 will take place Sunday, November 18, 2012 from the Bankers Life Fieldhouse in Indianapolis, Indiana. We&apos;ll have exclusive live play-by-play coverage here at WrestlingNewsWorld.com. - WWE did an angle following this week&apos;s Raw with Big Show "attacking" Sheamus while he hung out with William Regal at a pub following the taping. - WWE has canceled the scheduled Wrestlemania 29 Kickoff Party scheduled for Friday at Bryant Park in New York City due to damages from Hurricane Sandy. Scheduled to appear were Booker T, Bret Hart, Mick Foley, Sgt. Slaughter, Alicia Fox, Mark Henry and Aksana. - Edge is scheduled to undergo neck surgery on Thursday. In a media interview in September, Edge admitted he&apos;s been delaying the surgery since his retirement from the ring in 2011. He was asked on Twitter if the surgery was successful if he would be able to return to the ring. Edge answered by saying the doctors say he will not be able to wrestle again. - Despite Jack Swaggger&apos;s wife Catalina denying that her husband requested his release from WWE [on Twitter], I&apos;m told Vince McMahon met with Swagger Monday at the WWE Raw taping in Birmingham, England. Vince expressed his desire for Swagger to remain on the roster and agreed to bring him back to TV. While I didn&apos;t hear an official on-air return date, Swagger just worked a dark match at Tuesday&apos;s Smackdown taping in Birmingham. WWE doesn&apos;t pay as much attention to ratings when Raw is taped, however, the viewership decline from hour two to hour three is concerning. - $100 million wasn&apos;t enough to buy Linda McMahon a United States Senate seat out of the state of Connecticut. CNN can now project Democrat Chris Murphy has defeated McMahon in the race. You can follow the results at this link. My first Survivor Series my team was to go over and it was to be my first big push. It was one of first times refs used ear pieces, or at least, different ear pieces. So, I do a &apos;false finish&apos; and Tim White counts me out! I had kicked out on &apos;2&apos; but Tim was listening to someone in his ear and wasn&apos;t paying attention. He looked up and said, &apos;Oh my God, kid, I am so sorry&apos; but then had to pantomine he was sending me out of ring. I got to the back and was chewed out, I couldn&apos;t stooge Tim so I just took it-later they realized Tim made a mistake and told me they were sorry. It was my pal Gerald Brisco that had chewed me out as he ran &apos;Gorilla&apos; back then. My push was killed and pretty much so was &apos;Justin Hawk Bradshaw&apos;, but that is a different story-which I&apos;ll tell later. I thought about this today as I was reading some tweets from folks about Survivor Series. - WWE has changed the spelling of Johnny Curtis&apos; new gimmick from Fandangoo to Fandango. - WWE evaluated Emil Sitoci prior to Tuesday&apos;s Smackdown tapings in Birmingham, England. Sitoci, who is a Dutch worker, was trained by current WWE developmental talent Kassius Ohno. He went under to Jack Swagger in a dark match. For more, visit Sitoci&apos;s official website. - It was announced on this week&apos;s Smackdown that Vickie Guerrero will present additional evidence in the "affair" angle between AJ Lee and John Cena on next week&apos;s Raw. It’s a geek dream come true! Initially I had a bunch of ideas I was going to write for it, and then I just bought a keyboard for my iPad which I thought would have been easier. After a week of learning how to use the stupid keyboard, I just sat in front of it and started typing. It came to me so naturally and before I knew it, I had two pages of material. Stuff would just spill out of my head and I would just read it over and over again, then correct it, then read it, correct it, all as I went along. I’m not sure if that’s what most writers do, but I’m happy with the finished product. So to write the foreword, I was kind of taken back by it. It was a very cool thing to be a part of. Is it harder to get the big chances and big title bouts as an Englishman? William: "I don&apos;t think it&apos;s any harder than for anyone else once you get yourself over there. Getting over there is the hard thing. If you&apos;ve got the talent it&apos;ll shine through. I went over there when there was no-one there. It was difficult. But I think it helps if anything, just to be English, just to be a bit different. It definitely helped me. I was the only English character at the time. Obviously there was the Bulldog, but he was his own entity - he was a completely different thing away from what I was doing. It gave me a bit of a boost really." Wade: "I think increasingly WWE is a global company - as much as they can they want to push out into new markets like Europe. I think it&apos;s definitely been a help in a sense that I&apos;m English. But again it&apos;s ultimately down to talent. Being English helped me get a foot in the door, but ultimately it&apos;s down to my talent and hard work in trying to get to that top level." - If Vince McMahon&apos;spublic reaction to Linda McMahon&apos;s US Senate loss wasn&apos;t telling enough, we&apos;re told Vince is in a terrible mood. Vince has spent the morning calling up key staffers and giving them an earful in regards to the Survivor Series booking. Vince is still "very upset" about how the original main event for Survivor Series came across and having to change it on the fly at Monday&apos;s television tapings. We&apos;re told not only is Vince in panic mode but prominent insiders say they haven&apos;t seen him this frazzled in a long time. Vince is bitter that he is blowing the scheduled main event for WWE TLC and feels they are now backed into another corner with the December pay-per-view. The chaos isn&apos;t expected to end any time soon as the company will spend the next six weeks figuring out how to not bury Ryback, keep the WWE Championship on CM Punk and prevent John Cena from appearing weak after time off. Not only do these creative quandaries have to be handled with delicacy but there are still questions about the Wrestlemania status of The Undertaker and Steve Austin, Brock Lesnar&apos;s future, what to do with Dolph Ziggler&apos;s title shot and a dire need for someone to step up to lead Smackdown. All and all to say Vince is "feeling the heat" would be a tremendous understatement. Very happy WWE and I have worked out a deal for me to return on a full time basis. There came a need when my friend Jerry Lawler had a heart attack and was not able to work, however, I realized how much I enjoyed being back and this was the basis for my decision to return. I now just enjoy doing commentary, and no, have no desire to ever be in the ring again. I am in the best shape I have probably ever been in due to the mountain training, but a twisted knee, ankle or back and I lose my dream of the Seven Summits-not worth the risk to me and I had my time and I loved it. Commentary is where I want to be. I will doing Smackdown with Josh Matthews. I have filled in on Main Event some but mainly when Miz has a large part in the show and can&apos;t do commentary. Raw is 100% Jerry&apos;s. He and Michael are a great team, I enjoy listening to Jerry and there are no plans for a three man booth with me in it. I am happy on Smackdown. It looks like I will be doing PPVs as a representative for the Smackdown brand as part of a three man booth with Cole and King. I cannot say enough how impressed I am with Michael Cole, there is so much more to the commentary game now and he is the best I have seen. Josh prepares well and we don&apos;t have the sync that Michael and I have yet, but we will get there. Josh is fun to work with, I love when I get him so frustrated he throws his hands up in the air not knowing what I will say next. Michael and I had a year of commentary behind us already when I returned, Josh and I have only been doing it for a short time. I don&apos;t know where Josh buys those horrible sweaters and gets that spiky haircut though. And yes, I do have fun ribbing my old boss and Okie friend JR. It&apos;s all in good fun. "I&apos;m not considering running for governor. I looked at that. We have some really good candidates to run for governor," McMahon said. "That&apos;s not an office that I&apos;ll be seeking." “I speak to him, and when we don’t talk, we text about everyday or two,” Ross said. “He is doing great. He’s feeling great. He’s the luckiest man in the world, quite frankly. I don’t know where else he could have been, unless he was actually sitting in a doctor’s office, when that heart attack occurred, that he would be alive today. “Thank God WWE has two full-time physicians who travel with the team, and Dr. Sampson was right there at ringside, watching the matches in the secured corral area, timekeeper area as I understand it, and as soon as he saw Jerry come out of his chair and fall to the floor... So Michael Cole got their attention. “Good thing for Michael Cole doing that because I’m sure they didn’t know and thought it could be part of a storyline. They wouldn’t know, yea or nay, but Michael with a sense of urgency got the doctor over, and once the doctor saw Jerry had no pulse, he started CPR immediately. “The EMTs are in the building, obviously. So I was told Jerry was hit with the [defibrillator] paddle seven times to generate a heartbeat. What I was told by more than one who were there that he was clinically dead for 15 minutes. So it was horrific. “I was at home in Norman [Okla.] and watching on TV. I don’t know if I’d ever felt a sense of helplessness. I don’t know how many hundreds of hours Jerry and I have broadcast together and coupled that with all the hundreds of hours we traveled together, it’s like having an older brother. Here’s the thing, Rock versus Cena being announced a year prior, that’s the first time we’ve ever done that. Wrestlemania itself is a big enough build. It’s a cultural event. It’s not just a sporting event or an entertainment event. Everybody will be talking about it the next day. I think that having something like that is a double-edged sword because it could lose its luster over the course of the year, if you hear about it enough, or it can be the attraction that you have to go see at the end of that year. I think this year as we go forward the excitement will be there for Wrestlemania being in New York and as we move forward and start to announce things it will get bigger and bigger. Rock has expressed his desire to be at Wrestlemania this year and to be the WWE Champion at some point, he guaranteed it. I guarantee Cena is going to be there, Brock Lesnar has been discussing his return being ar Wrestlemania. I’m sure as we get closer to the event I’m going to get very excited about maybe throwing the trunks back on and getting back in there for Wrestlemania. It’s going to be all of the action, all of the main events, everything you would ever expect out of Wrestlemania. One thing I have learned in the WWE is never say never. I’d be surprised if Austin ever threw the trunks on again. You get to a certain point in your life where your mind thinks you can do a lot of things that you maybe can’t. I’d be surprised but I’ve learned in this business to never say never so you never know. I guarantee you CM Punk will be involved in Wrestlemania somehow. That’s one of the interesting things, The Rock came out earlier this year and guaranteed that at some point in time he would be the WWE Champion and it was his mission. Well it’s not 1999 anymore, it’s not 2002, it’s a different year and there’s a different group of guys. CM Punk has had a lock on that thing for a while and it’s no cakewalk for The Rock. It’s not like he’s going to walk back in here and take over. It’s going to be interesting to see. When did you realize you’d lost the race? I was sitting by myself, actually. I had just taken a moment to go upstairs and get my thoughts together on what I was still hoping would be a victory speech. I was just sitting there, going over my speech—clearly you have a concession speech as well, but you’re hoping that’s not the one you use. I wasn’t paying that much attention to the TV. This was about 40 minutes after the polls closed. Then I looked up and saw a check mark next to Chris Murphy’s name on ABC. I barely caught it out of the corner of my eye. I just thought, “Wow.” I was stunned for a moment. I sat there for a few minutes on my own, reflecting on what the race had been. I thought about the thousands of people who not only had touched me but whom I had touched as well. All the notes, “Thank you for running. Thank you for showing me that it’s worth putting everything on the line,” and things like that. A lot has been made of $97 million you’ve spent in these races. How do you think that’s been portrayed? The way it’s framed is that I’m trying to buy the election for my own personal gain. What would be my personal gain? I’m not looking for a new career. I’ve had a wonderful career. I was hoping to bring a different voice and perspective and use my skills that have been honed as a CEO in bringing people together. I’ve had a little bit of fame and fortune. I’ve been in the public eye. I wasn’t looking for a hobby. If I were looking for a hobby, it wouldn’t be the United States Senate. That’s one of the toughest jobs I’d probably ever do. I just felt there wasn’t enough compromise going on: People were too far to the left, too far to the right, with no one trying to build a compromise. I understand the attention. Look, it’s an incredible amount of money to spend on a campaign. Are you glad you ran? [My husband] Vince told me a story the day after the election. Some guy from WWE had no power [from the storm] so he’d taken his wife and daughter to the Hilton on Tuesday night. They walked into the hotel as I was getting ready to give my concession speech, so they stayed to watch it. His daughter, I think she was 9, stood there as I was giving my speech. This little girl came up when I was in the receiving line and apparently there was some question about the campaign. I touched my heart and touched her heart and said, “Just remember to do things from your heart,” and then I pointed to my head to say, “as well as your head.” He told Vince that was something she would never forget. I don’t know her face. I don’t know him. But it means a lot to know I’ve left an impact on people like that little girl. Everyone needs to feel they can make a difference. What’s next for you? One thing I’ll continue to do is our philanthropic work. I’m not really focused right now on what happens next. I don’t really anticipate running for public office again. I think I’ve given that a really good, strong shot. At this moment, it’s not a consideration. Things can always change but it’s not something I anticipate right now. (TNA) has really focused on women&apos;s wrestling in a different manner than WWE, and I just enjoy it more here. I&apos;ve experienced both major promotions twice now, and I can honestly say that TNA is a better fit for me. I remember my first match back was a tag match with Brooke Tessmacher; she didn&apos;t really know that much in the ring back then, but she has come so far in the past year. Check out the full interview where Gail Kim discusses what dream came true to her in professional wrestling, her marriage, and more at this link. - TNA Genesis will take place on Sunday, January 13, 2013 from Universal Studios in Orlando, Florida. Our thoughts and prayers go out to all of those who have been affected or have felt the devastation of the recent and historic natural disaster Hurricane Sandy. Like many of you, our family here at TNA IMPACT WRESTLING has experienced the devastation first hand with some of our wrestlers, their families and even our TV partner, SPIKE TV whose offices are in Lower Manhattan, and their employees having been hit hard. A few nights ago at dinner, a good friend of mine, Alli Simpson, was sharing stories about the immense damage from the area on the Jersey Shore where she grew up and where her family still lives. She was talking about the helplessness she felt being so far away and the desire to do something to make a difference. Within an hour, we had created the genesis for the TNA MAKE AN IMPACT campaign that constitutes an array of outreach opportunities. Beginning today, YOU, TOO, can make an impact. We encourage you to visit tnamakeanimpact.com, like www/FACEBOOK.com/tnamakeanimpact, or follow @tnamakeanimpact on Twitter to join us in our efforts to help spread this message, share your personal stories, donate money or find out how to volunteer. We have created a "MAKE AN IMPACT" collector T-shirt that you can purchase for $20.00 plus shipping and handling by visiting www.tnamakeanimpact.com or www.shoptna.com. ALL proceeds from your purchase will go to the American Red Cross aiding the relief efforts. In addition in the coming weeks, many TNA IMPACT WRESTLING superstars and other celebrities will be wearing the MAKE AN IMPACT T-shirts then autographing them for auction on the website. You can also make a $10 donation through your mobile phone by texting “RedCross” to 90999. We encourage you to join us here at TNA IMPACT WRESTLING to MAKE AN IMPACT in the wake of this disaster. We are a resilient country and we will rebuild, it is the American way. Our thoughts and prayers will continue to be with all of those affected by Sandy and its aftermath. - For those that missed this week&apos;s Impact Wrestling, independent standout Christian York has "won" a TNA contract. - TNA Wrestling will run a live event Friday night from the WFCU Centre in Windsor, Ontario, Canada. If you attend make sure to submit a live report. For event information, click here. This week&apos;s Impact Wrestling did a 1.03 cable rating with an average viewing audience of 1,266,000 viewers on Spike TV. Now that CM Punk has a lot of backstage influence, do you see him trying to bring back Colt Cabana a/k/a Scotty Goldman? CM Punk attempted to get Colt Cabana re-hired during his contract negotiations with WWE last year. Cabana was given a tryout match but wasn&apos;t hired. Punk has considerable influence backstage and is seen as the reason why Paul Heyman is in the position he is in so I can&apos;t give you a clear explanation as to why Cabana is not with WWE. Can you briefly detail the redesign of the website? We redesigned the website so it would be responsive depending on the device in which you use to read it. For example, if you are viewing on your smart phone or tablet, the device automatically recognizes this and resizes the website so you can read it. Our old design used to deliver a separate "mobile-friendly" or "tablet-friendly" design, not only was this hard on our server but it altered the website so all features were not available. Now no matter where you read WrestlingNewsWorld.com you can be assured you have the full website and not a stripped down version. When should we expect Brock Lesnar back on WWE Raw? WWE won&apos;t have Brock Lesnar on Raw until they plan on using him for another pay-per-view match. The talk was that he would work Survivor Series but given the fact he didn&apos;t appear last week and the company is overseas for two weeks, that appears to be less-likely. He could always be used on the 11/12 episode of Raw, the go-home to Survivor Series, but a one week build would be illogical. Was the decision to take the World Heavyweight Championship off Sheamus a sign WWE is losing faith in his ability to carry Smackdown? No, the decision to take the World Heavyweight Championship off Sheamus was a call from creative and not any type of punishment or change in his status backstage. Triple H sees Sheamus as one of the future faces of WWE and while not everyone is as high up on him, he is still a main event talent despite losing the title. There are plans for his program with Big Show to continue into a match at Survivor Series. Is Johnny Curtis going to play the Fandangoo character? Yes Johnny Curtis is Fandangoo. WWE officials are high up on his work as he&apos;s already debuted the gimmick at live events. What do you think of Triple H&apos;s backstage work so far and do you have high hopes for WWE when he eventually takes over? There are times when I believe Triple H is more in touch with the product than Vince McMahon but there are also times when I feel he&apos;s out of touch. For example, Hunter&apos;s commitment to developmental is definitely the right thing to do and I like the direction things are going as NXT Wrestling. However, when I hear Hunter is pushing Sheamus as the next face of the company, I just don&apos;t see it. While I&apos;m a fan of Sheamus and think he works hard every night out, I don&apos;t see him as the face of the company. As a whole, WWE is poised for growth and success because of the way it&apos;s been built. Why isn&apos;t Michael McGillicutty using his real last name and capitalizing on the fact he&apos;s the son of Curt Hennig? WWE gave Joe Hennig the Michael McGillicutty name and I don&apos;t think he likes it more than anyone else. I can&apos;t begin to explain it other than they may have wanted him to have his own identity so he&apos;s not forced to try and live up to the expectations that come along with being Curt&apos;s son. I actually think working as Joe Hennig would help him get over but it&apos;s also worth noting WWE changes names so they own the rights to them. With Hennig working as McGillicutty, they don&apos;t risk him leaving after they build him up. When will WWE pull the trigger on a Randy Orton heel turn? I heard Randy Orton is still pushing for a heel turn but there are obviously other plans as they wrap this program with Alberto Del Rio. Now that Linda McMahon&apos;s political career seems to be over, can Vince move on to make the product more entertaining? This was the one million… or should we say $100 million question that we knew would come up following Election Day. I honestly believe Vince McMahon is committed to producing a PG product because of the diverse opportunities it provides WWE in today&apos;s marketplace. The only situation I can see the product reverting back to the days of the Attitude Era is if a viable competitor threatens them. Linda McMahon&apos;s political career has certainly impacted WWE&apos;s programming but her loss won&apos;t produce the immediate creative overhaul some are hoping for. What is going on with the booking of The Miz? He made movies for WWE, comes back with a LITTLE bit of a push and now lost the IC title, has been on a HUGE losing streak and is no longer in Survivor Series match. What gives? It appears WWE is at least teasing turning The Miz babyface. I know people are getting tired of me writing this but The Miz is in a very good position in WWE, poised for another main event run. Not only is he seen as versatile but his future is very bright with starring roles in WWE Studios projects. If it were up to you, which main event would you pick to headline Survivor Series: the original 5-on-5 match or the new triple threat match? I always like to see pay-per-views, especially major pay-per-views, headlined by title matches but the situation with Survivor Series 2012 is complex. WWE was looking for a way to continue CM Punk vs. Ryback without having either lose while at the same time preparing Punk for The Rock. Vince McMahon didn&apos;t like how the announcement of the original Survivor Series main event went over so he changed it. With John Cena in the match, it gives WWE a way out of their predicament. I am against Ryback in the title picture at this point in his career and also didn&apos;t understand why WWE thought the original Survivor Series main event would get over in the first place. It doesn&apos;t look like this year&apos;s show is going to be successful. Why does Rey Mysterio work in a shirt? We were told Rey Mysterio is working in a shirt because his abs are not in desirable physical condition. Have you heard anything new about WWE possibly going with a three man announce team on Raw? As I stated previously in Ask WNW, I&apos;m under the impression Raw will be called by Michael Cole and Jerry Lawler. The new Smackdown crew is John Layfield and Josh Mathews as JBL is back full-time. As for pay-per-views, Cole, Lawler and JBL will call them. There&apos;s always a possibility WWE retains a three-man booth with Jim Ross but until I hear from JR, I&apos;m going with what we know for sure. Are the same WWE referees that are on television on the road at live events? Yes, WWE has a full lineup referees and they are used at all their events. The crew consists of Chad Patton, Charles Robinson, Jack Doan, John Cone, Justin King, Mike Chioda and Scott Armstrong. Developmental referees are also rotated in and include Darrick Moore, Jason Ayers, Mac Harris, Rod Zapata and Ryan Tran. WWE pairs the teams off and rotates them for TVs each week. Who makes the video packages we see on WWE television? Kevin Dunn is the executive vice president of television production and oversees the material made for TV. WWE has an in-house television production staff and a lot of people that go unrecognized for their stellar work. If you are looking for a particular job description of these individuals, browse the listings at this link. What purpose does Mick Foley serve as the team captain at Survivor Series? The original plan was to rehash Mick Foley&apos;s confrontation with CM Punk from back in September and that it would create enough hype to sell the pay-per-view. The problem is the announcement didn&apos;t go over well and Vince McMahon felt like Team Punk vs. Team Foley wouldn&apos;t sell. He changed the main event and now we&apos;re left with Foley as a random team captain. We can discuss in detail why it didn&apos;t work but I want to also note something I bring up a lot and that is the limited lifespan a character has when they can&apos;t wrestle. As good as Foley was, he has to be used sparingly when he can&apos;t work. The same goes for other legends like Bret Hart and Steve Austin. When overexposed, their inclusion on programming becomes meaningless. Following up on one of your comments for clarification, does WWE loan money to workers for surgery? Yes WWE will front money to workers for surgery, however, they expect repayment in these situations. I have heard stories of particular workers remaining under contract but unused just so WWE could garnish their downside to get their money back. Due to how delicate the matter is when it comes to pay I would rather not name names. Can you see El Local (Ricardo Rodriguez) getting a push in either Raw or Smackdown? From what I understand the El Local gimmick is being used on WWE&apos;s secondary programming and at live events as a character marketed towards children. I haven&apos;t heard of a push on either Raw or Smackdown but anything is possible. One thing about Ricardo Rodriguez is he can work despite being used as Alberto Del Rio&apos;s ring announcer. Even Del Rio has said Ricardo won&apos;t be with him forever so I think he still has a future in WWE when he finally breaks away on his own. Don&apos;t you think is very predictable that CM Punk will defend his belt at Royal Rumble against The Rock? Especially because Dwayne is the reason why Punk turned heel. The Rock is not the only reason WWE turned CM Punk heel, however, the plan is and has been to do Punk vs. The Rock for the WWE Championship at Royal Rumble. This is one of the reasons why I have been so against programming Ryback with Punk because they have to try and keep Ryback&apos;s streak alive without Punk dropping the belt. Scenarios have been pitched over the past few months about having Punk drop the title only to regain it before Royal Rumble but that was before Ryback&apos;s mega-push was given the green light. It will be interesting to see how they book Survivor Series with Ryback needing a big win after last month&apos;s loss, Punk needing to keep the belt for a dream match against Rock and John Cena needing to remain strong after returning from injury. Back to your question, it is very predictable and it wouldn’t shock me if it changed but can you think of a better scenario? If you could put four of greatest wrestlers on a Mount Rushmore type of tribute, which four would you put up there? Mine are Hulk Hogan, Ric Flair, Steve Austin and The Rock. I have always shied away from this question because it can be widely debated, however, since WWE unveiled their Mount Rushmore I guess I&apos;ll give it a shot. The problem with WWE&apos;s Mount Rushmore is it doesn&apos;t feature The Rock. The problem that I see with yours is it doesn&apos;t feature Undertaker. How can you have a Mount Rushmore of wrestling without the most successful wrestler of all-time and the top WWE gimmick of all-time. Hulk Hogan has to be included because he took the business into two wrestling booms. Steve Austin changed the business forever so I&apos;m scrapping Flair from yours and Cena from WWE&apos;s model. My Mount Rushmore is Hulk Hogan, The Rock, Steve Austin and The Undertaker. We can argue all day long about including Flair, Shawn Michaels, Triple H, Edge, Cena, Bret Hart, do I need to keep going? It&apos;s very difficult to pick four but those are my four.